In the garbage and sanitation industry it is common for employers to pay their drivers, helpers, and loaders based on an hourly wage but not pay them time-and-a-half for when they work more than 40 hours in a week. Additionally, many of these companies pay certain types of scheduled “bonus” pay – for working in bad weather, showing up on time, etc. Even when the company pays overtime, these bonuses are often not considered in the overtime calculation as required by law. Typically, the denial of overtime is based on a claim that the workers are covered by the “motor carrier” exemption to the Fair Labor Standards Act. Under the motor carrier exemption, employers who transport goods in interstate commerce are not governed by the wage and hour requirements of the FLSA and thus are not required to pay overtime. But courts that have considered the question have determined that (with the exception of pre-sorted recyclables which are intended to eventually be reused in products) trash is not considered a “good in the stream of commerce.” Accordingly, those trash truck drivers, helpers, and loaders who are not transporting pre-sorted recyclables are covered by the overtime provisions of the FLSA and should be paid time-and-a-half. 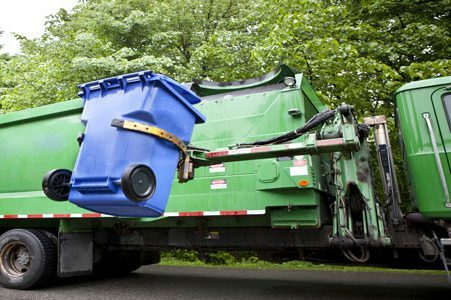 In a recent case, Lear Werts LLP represented a class of trash truck drivers, loaders, and helpers who were not paid overtime by a sanitation company with locations in Missouri and Kansas. The company paid the workers based on an hourly wage with certain bonuses but did not pay overtime. Lear Werts obtained a class wide settlement of the claim that – after fees and costs were paid – provided the employees with their full back owed wages. Additionally, the defendant company agreed to change their practices and start paying overtime as required by law. Under the Fair Labor Standards Act, an employee is entitled to recover his unpaid overtime for either a two-year period, which can be extended to three-years if the court finds that the employer’s violation of the law was willful. Workers are also entitled to additional damages from the employer in an amount equal to the amount of overtime that was unpaid (unless the employer can show a good faith reason for the violation). Additionally, most states have their own laws that supplement the FLSA – some of which provide for more expansive recovery. The FLSA has rules prohibiting an employer from firing or retaliating against an employee for bringing a claim under the Act. The FLSA attorneys at Lear Werts LLP recommend that you contact an attorney if you think that your employer has retaliated against you for asserting your rights to proper overtime compensation. Lear Werts LLP has represented workers from across the country in their claims for wrongfully denied overtime pay. Every case is different, and there are no guarantees of how much can be recovered in a trash truck driver overtime lawsuit or any other misclassification case under the FLSA. To find out if you have a case, contact Todd Werts or Brad Lear at 573-875-1991 to arrange a free consultation and find out if you have an unpaid wages claim.